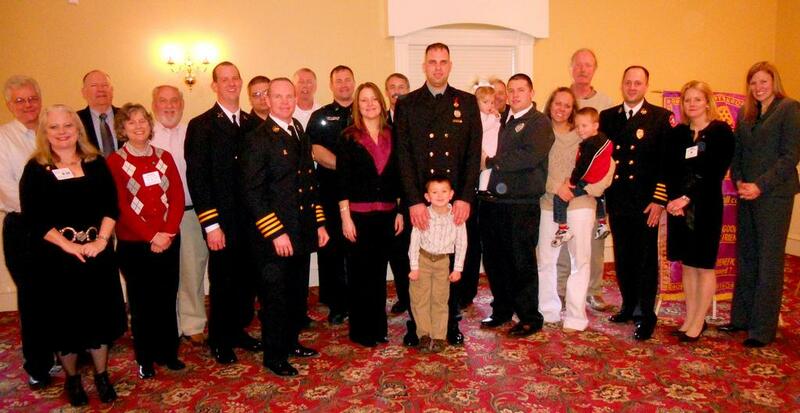 On February 2, 2012 Kettering Rotary Club bestowed 'Firefighter of the Year' awards to two distinguished Firemen, Doug Pastingel and Anthony Albertini. Each man will received an award plaque of distinction, a cash award and also SAR (Search & Rescue) LED Lights for their helmets as a thank you for their service above self to our community. 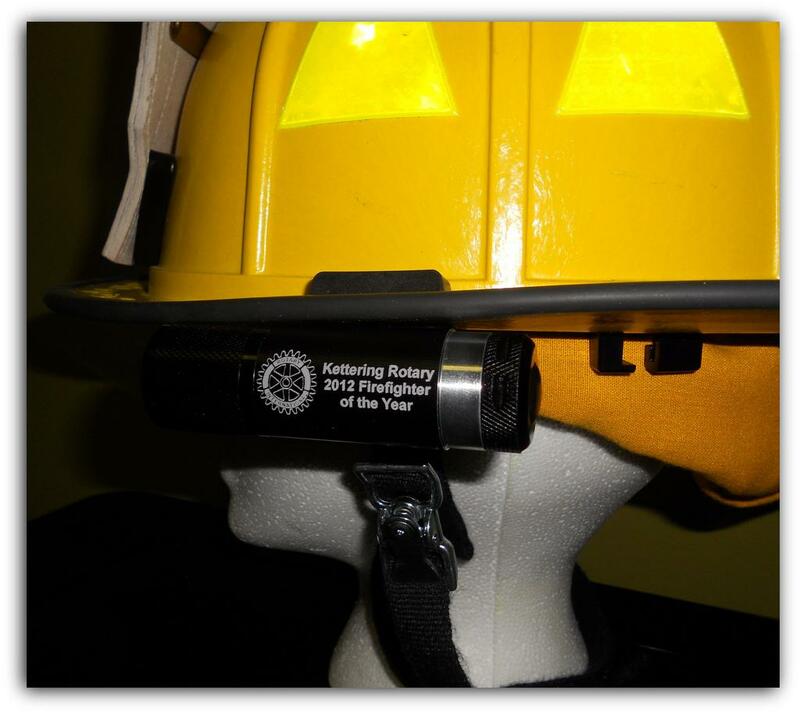 SAR Lights were invented by a past Kettering Rotary Firefighter of the Year Recipient (Dale Booher KRCFFY 1996) . They are designed to attach to the firefighters helmet, thus keeping their hands free for equipment, and lighting the way safely for the fire fighter. We are proud to be giving back to those who give so much to our community.